Quartaroli & Associates has provided clients with state-of-the-art surveying and mapping services in the San Joaquin Valley Since 1987. Clients retaining the professional services of Quartaroli & Associates have the rare benefit of a Licensed Land Surveyor on the survey crew, overseeing all surveying, computational and mapping procedures. Quartaroli & Associates is fully equipped with the latest robotic total station surveying instrumentation, desktop computer systems, computer driven mapping plotters, geodetic quality GPS satellites surveying system equipment, handheld GPS receivers, and all-terrain vehicles (ATVs) assuring fast, accurate and efficient service for our clients. Surveys for the express purpose of locating the corners and boundary lines of a given parcel of land. This involves record and field research, landowner(s) title examination testimony, measurements, and computations to establish boundary lines in conformance with the Professional Land Surveyors Act. Easement lines may also be located and/or established with this type of survey. A Record of Survey is typically filed with the County Recorder, or depending on the circumstances, a Corner Record is filed. Some level of title examination occurs in all of our land related jobs. All of us at Quartaroli & Associates work as a team and each of us have a particular task in the overall examination. Of the many title examination situations we encounter on a day to day basis, two stand out as the most common: Chain of Title and Preliminary Title Reports. Below is a more detailed description of each. A Chain of Title is the chronological order of deed conveyances of a property from the earliest landowner to the current landowner. Basically, a Chain of Title is the history of the property. A Chain of Title is the critical component of a Certificate of Compliance application and in supporting water rights research and/or litigation. Quartaroli & Associates has completed countless Chains of Title and have provided Expert Witness testimony for water rights litigation. Quartaroli & Associates have proven techniques to read and decipher patents, certificates of purchase, indentures, deeds and other documents written in 19th Century cursive style. A Preliminary Title Report is an offer to issue a title insurance policy covering a particular property with certain exceptions. The Title Insurance policy will guarantee the ownership and marketability of the property as described in the policy as of the effective date. Many people do not realize it is the Seller’s and Buyer’s responsibility to verify the legal description of the property being sold. How many people are capable of verifying the legal descriptions of what is to be sold or purchased? Is all of the property intended for sale actually described in the legal description shown in the Preliminary Title Report? Are all of the necessary easements and rights included with the legal description? This is not a function or duty of real estate agents or escrow officers. Quartaroli & Associates has the experience to answer all of these questions and more. Legal descriptions define the outlines of specific areas which cannot apply to any other areas, whether they are real property, easements or air space. Although the definition is correctly stated as “Property Description” or “Easement Description”, it is generally called “Legal Description” because it must stand up under the law and litigation. A water right is a legal entitlement authorizing water to be diverted from a specified source and put to beneficial, non-wasteful use. Water rights are property rights, but their holders do not own the water itself. They possess the right to use it. The exercise of some water rights requires a permit or license from the State Water Resource Control Board (State Water Board). California’s water rights system is a unique blend of two very different kinds of rights: Riparian and Appropriative. Riparian rights usually come with owning a parcel of land that is adjacent to a source of water (river, creek, slough, lake, etc.). A Riparian right entitles the landowner to use a correlative share of the water flowing past his or her property. Riparian rights do not require permits, licenses, or government approval. Water rights law set on a different course in 1849 when thousands of fortune seekers flocked to California following the discovery of Gold. Water development proceeded on a scale never before seen. This overwhelming pursuit for water initiated a system of “posting notice” which signaled the birth of today’s appropriative rights system. It allowed others to divert available water from the same river or stream shared by riparian right holders but their rights existed within a hierarchy of priorities. 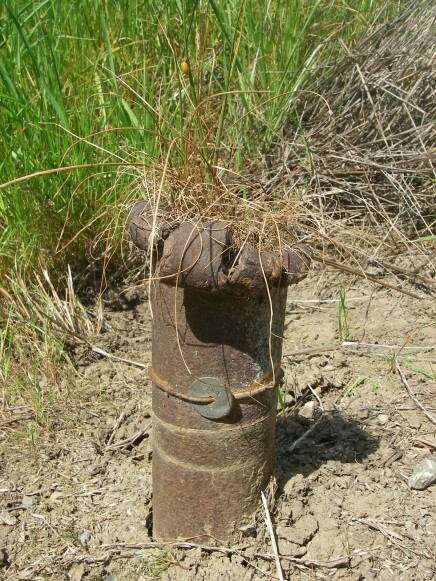 This “first in time, first in right” principle became an important feature of modern water right law. Quartaroli & Associates are uniquely positioned to provide the detailed examination and interpretation of historic title documents. This examination and interpretation is crucial in the defense of a landowners water rights litigation. The National Flood Insurance Program is administered by FEMA (Federal Emergency Management Agency). FEMA established a Flood Insurance Program to determine the flood elevation of a particular parcel of land to assist homeowners and lenders determine the risk, cost and overall value of flood insurance. Quartaroli & Associates will perform a survey to certify the building elevation and then complete and certify the FEMA Standard “Elevation Certificate”. The Vertical Datum for the elevation survey is based on the National Geodetic Survey (NGS) benchmark nearest to the site. The datum is then transferred to the project site to determine such physical features as building slab elevations, building finish floor elevations and utility elevations. We also prepare Letter of Map Amendment (LOMA), eLOMA, and LOMA-OAS (out as shown) when needed to certify that a property or structure is not within the flood zone. Subdividing tracts of land into small parcels, showing monumentation and survey data on a map, in conformance with local ordinances and the Subdivision Map Act. The preparation of the Tentative Subdivision Map or Tentative Parcel Map is the first phase of a subdivision survey. Subdivision maps, parcel maps, and condominium maps or plans are typical subdivision surveys filed with the County Recorder once the tentative map is conditionally approved. Land title surveys are used for the purpose of supplying a title company and lender with survey and location data necessary for issuing American Land Title Association or Extended Coverage Title Insurance. This survey is in conformance with the 2016 ALTA/NSPS Land Title Surveys Classifications and Minimum Standards. The scope of the land title survey is defined by a checklist which is negotiated between the land surveyor and lender. Under each of the Congressional and the State Acts, the Government (Federal or State) only had the power to convey lands still owned by them. This principle was repeated in subsequent acts and enforced by the State supportive acts. 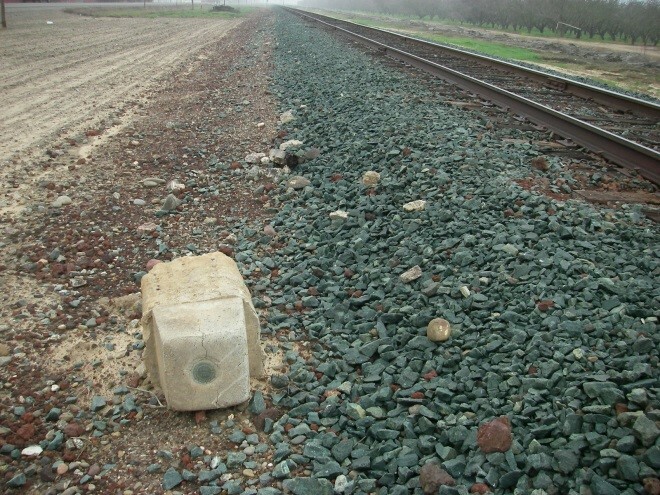 When Federal or State acts were pre-empted, the railroad companies obtained rights-of-way by private purchase or the exercise of Federal or State powers of eminent domain. Not all railroad right-of-ways were on federal land. Some segments of the transcontinental railroad went through state lands, swamp and overflowed lands, rancho lands, and private lands. As such, the property interest and the width of a particular right-of-way may vary from quarter section to quarter section. The early Congressional Acts (1862 through 1871) were known as “Charter Acts.” These Charter Acts granted the Railroad companies fee title to a strip of land 400 feet in width across lands still owned by the federal government subject to numerous conditions. The exact location of the strip was not determined in the Congressional Grant. 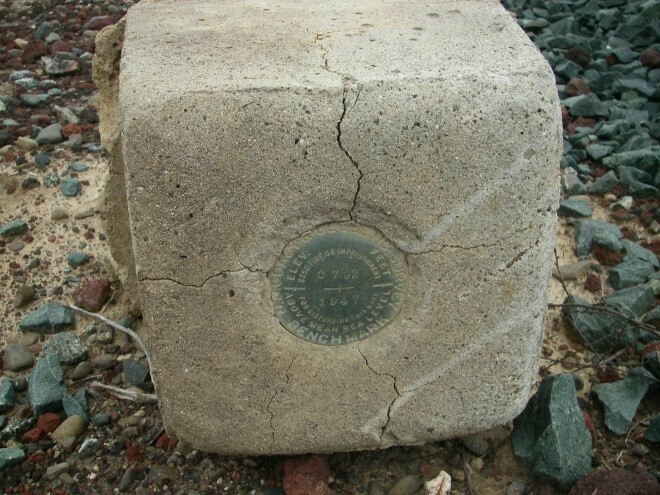 The physical location was determined once the railroad was constructed and a survey map depicting the physical location was filed with the Secretary of Interior. The filing of the map of “definite location” with the Secretary of Interior identified the land granted and initiated the definite rights of the Railroad. The filing date is the most critical information and happens to be the most elusive information to trace and document. Receiving a registered letter from Union Pacific Railroad informing you that you are encroaching onto their land could be very intimidating. Quartaroli & Associates has extensive research and title examination experience investigating Congressional Grant right-of-ways. Surveys locating topographic features – natural and man made – such as buildings, improvements, fences, trees, streams, and determining the elevation of the survey site. With the elevation of the survey site known, the contour of the land can be calculated. This type of survey may be required by a governmental agency, or may be used by architects and/or engineers for the planning and design of improvements on a site, or may be used as an exhibit in litigation. Topographic surveys may also include volumetric inventory analysis and cut/fill earthwork calculations. Monuments marking boundaries is as old as civilization itself. Monuments have played an important role in the development of civilization, the development of property law, and in keeping the peace between nations as well as next-door neighbors. Monuments continue to keep the peace between neighbors and their importance cannot be overstated. What do survey monuments look like? 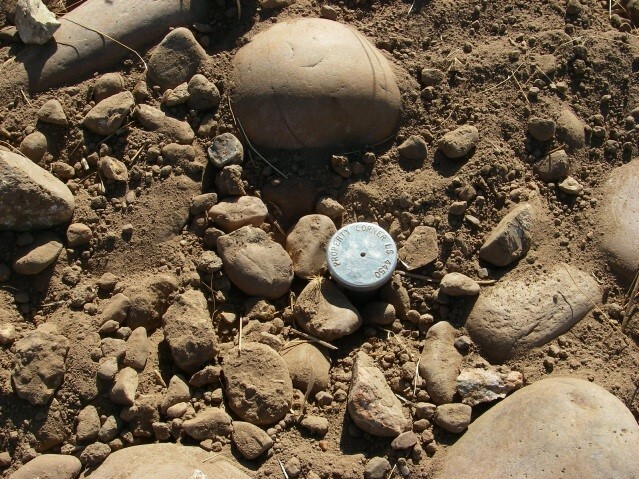 Your deed includes a written description of where your property is located and it is survey monuments that identify the location of your property on the ground.